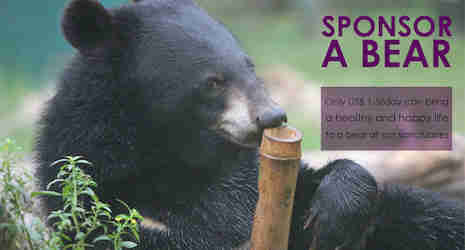 The first warm days of spring have arrived at Animals Asia's Vietnam sanctuary, meaning the return of the pool season. 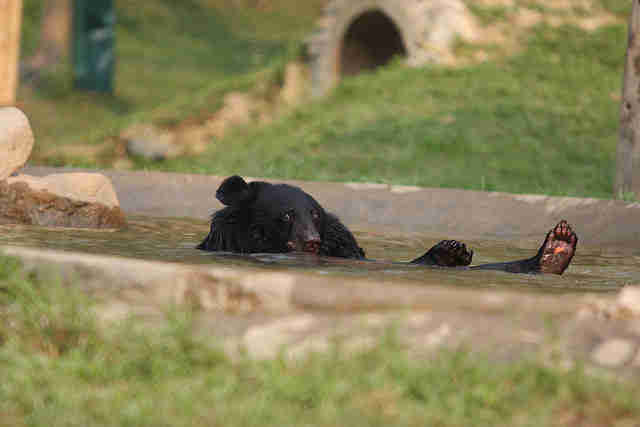 For the bears rescued from Vietnam's illegal bear bile industry, playing in a pool is a true pleasure. 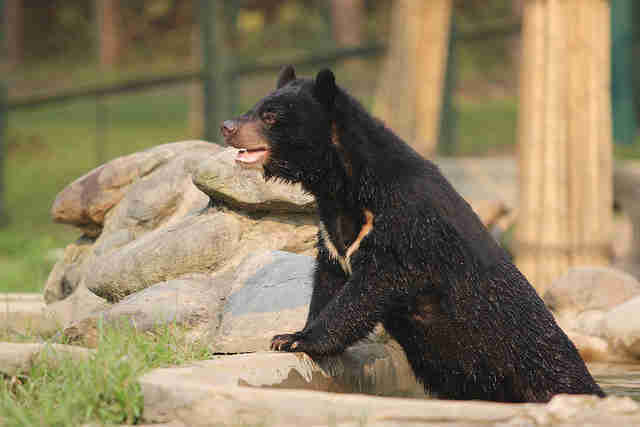 Vietnam's bile farms still hold around 1,200 bears who are kept in appalling conditions so that the bile can be extracted from their gall bladders for use in traditional medicine. 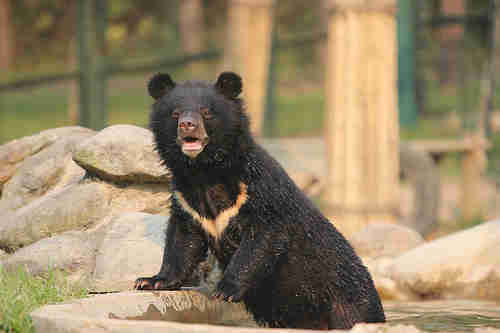 The extraction process results in long term physical and mental health problems for the animals, with many starved, dehydrated and suffering from multiple diseases and malignant tumors that ultimately kill them But for the survivors being rehabilitated at Animals Asia's Bear Rescue Centre, the pool is the perfect place to remember the joys of being a bear. Wise moon bear Amara took full advantage of one of the first warm evenings of the year to enjoy a relaxing sundown dip. Yet just as Amara is floating on her back in the warm evening light, mischievous pal Milagro gets other ideas. He'd much rather the pool was used for something more active and decides to crash the party. 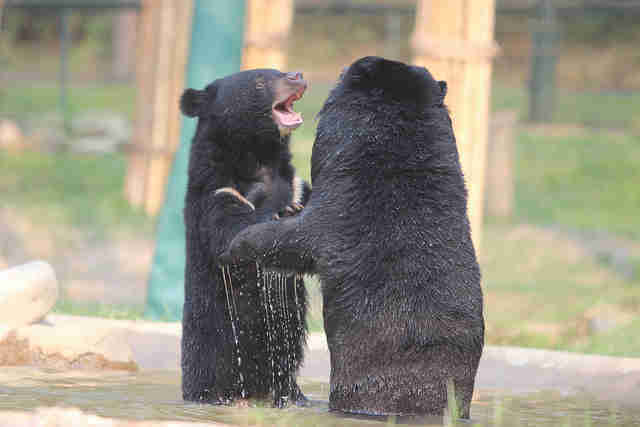 Before Amara knows what's hit her, she's the focus of a gentle wrestle in the water, with both bears having a ball. It's hard to tell who won the tussle. It looks like Milagro was the last bear left in the pool, but his hair was more than a little ruffled by the departing Amara. Hopefully Amara went on to find a nice quiet hammock where she could chill-out in the remaining low evening light.